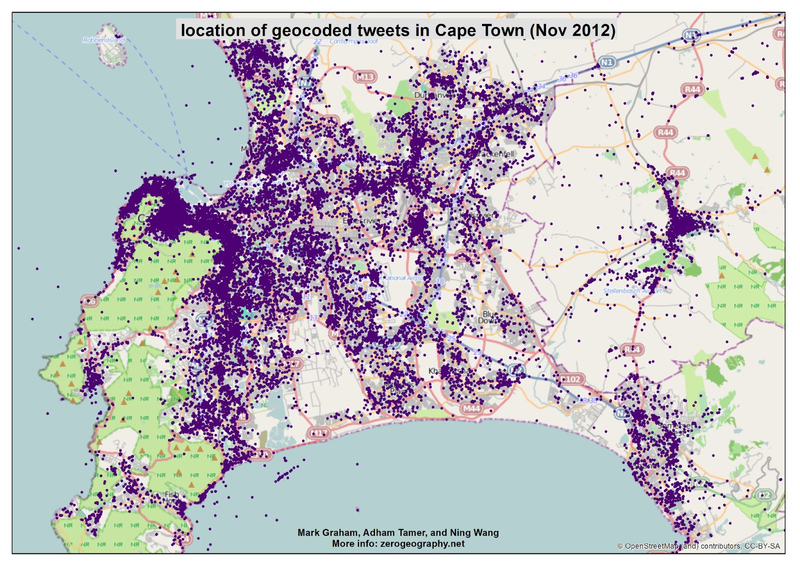 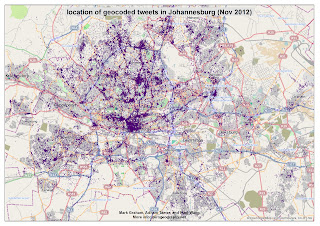 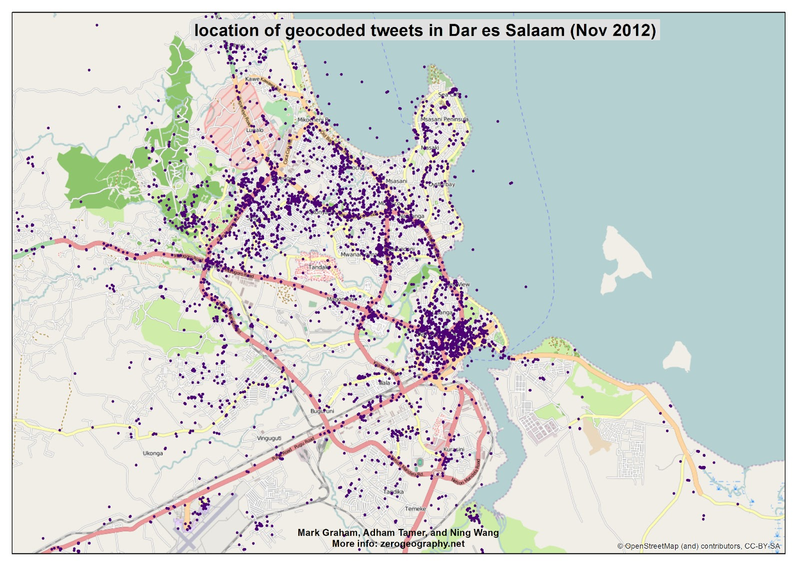 Where do tweets in Nairobi come from? 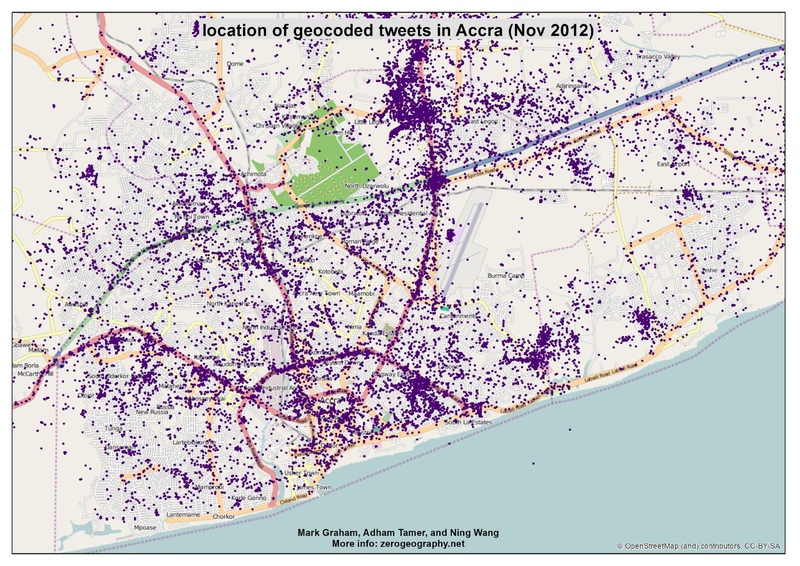 Earlier I posted a map of tweets about the Kenyan presidential debate that showed a distinct geography of information about the event. 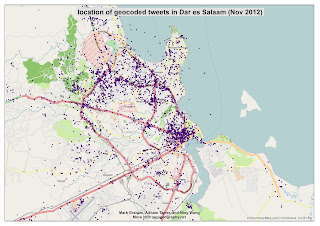 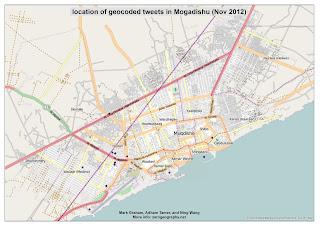 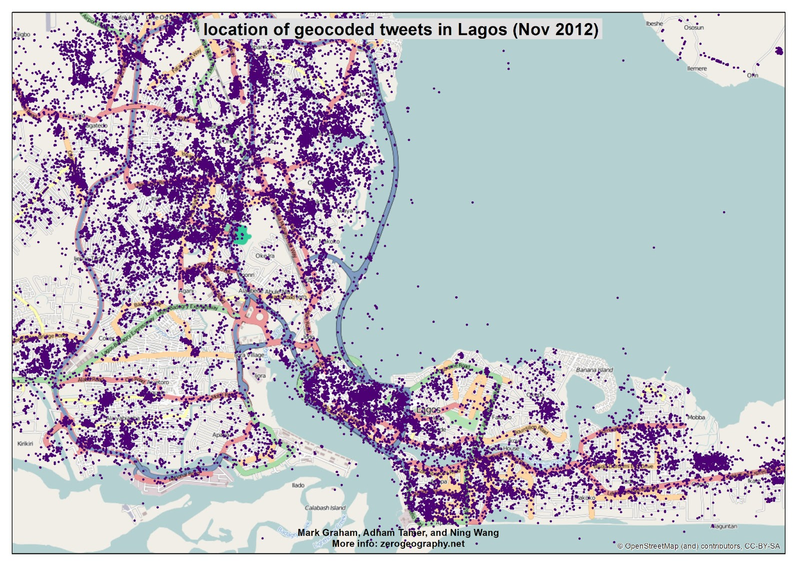 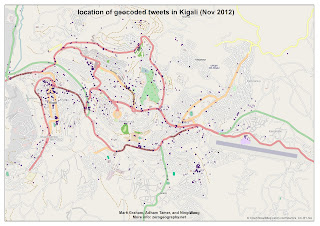 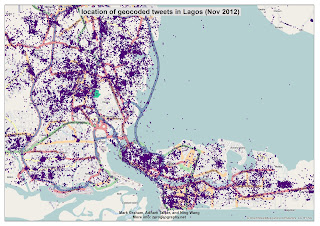 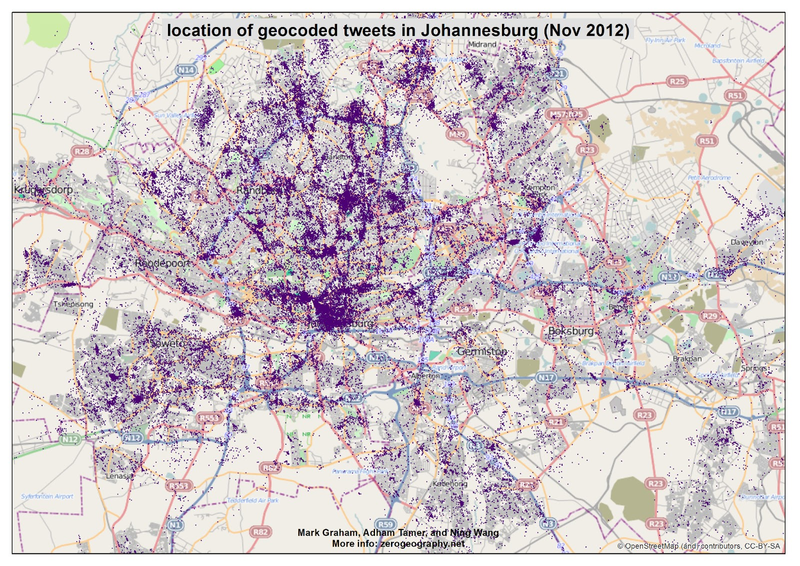 Doing so made me wonder about the broader patterns of information production in Nairobi through Twitter. 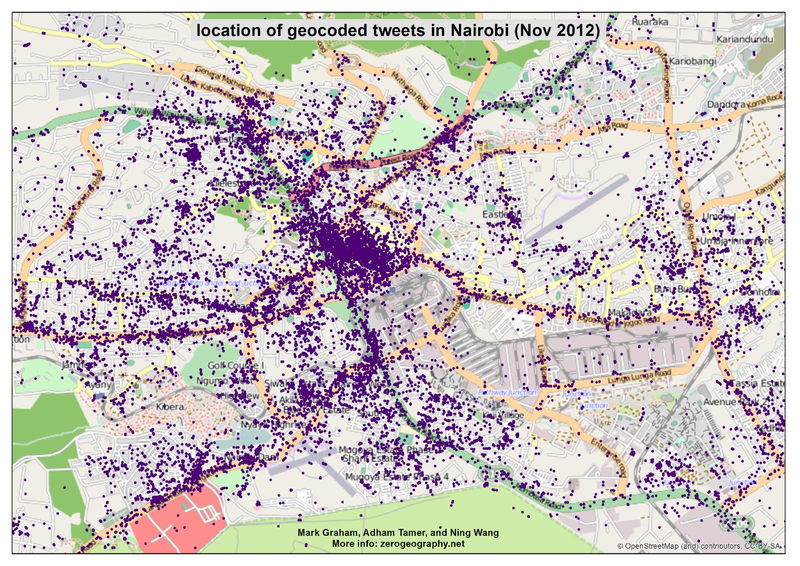 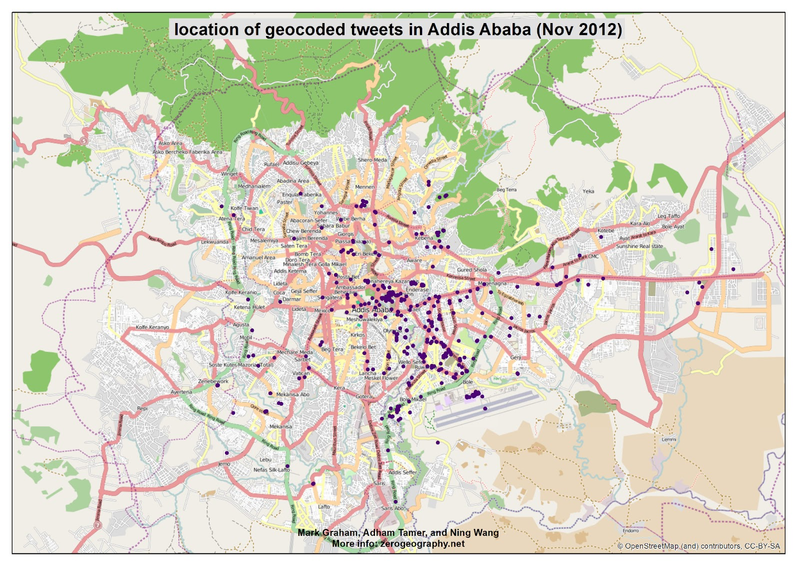 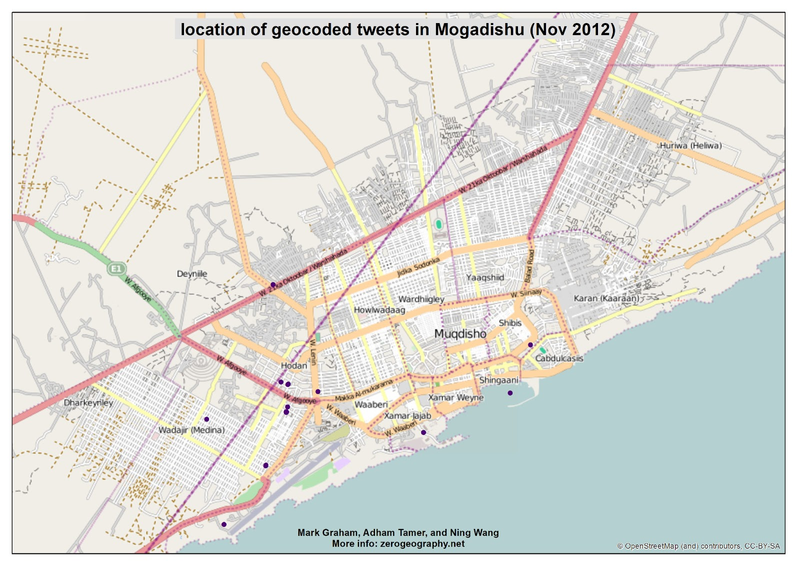 So (with the help of Adham Tamer and Ning Wang), I pulled a database of all geocoded tweets published from Kenya in the entire month of November and plotted them onto a streetmap of Nairobi. 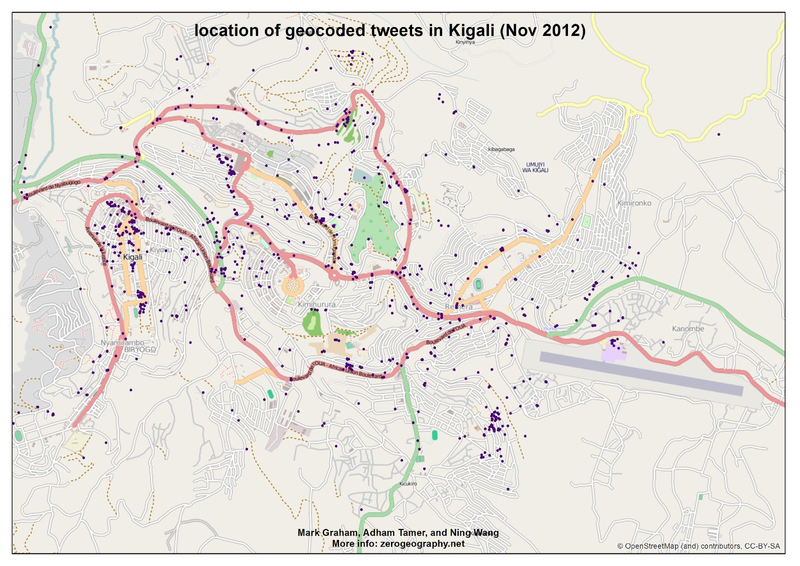 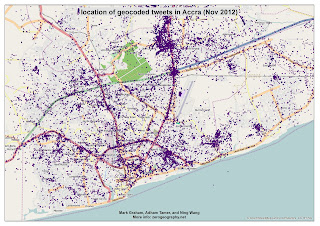 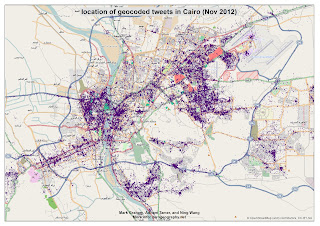 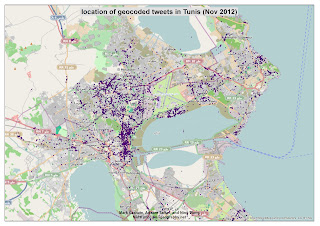 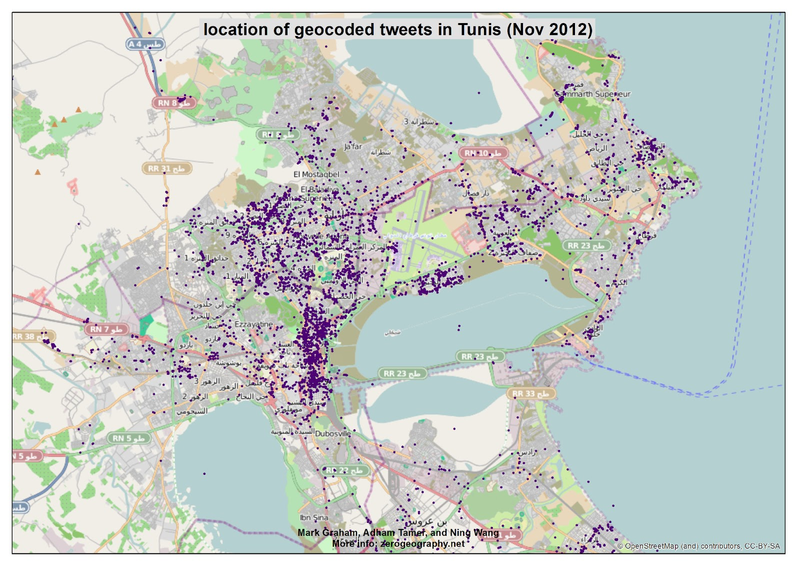 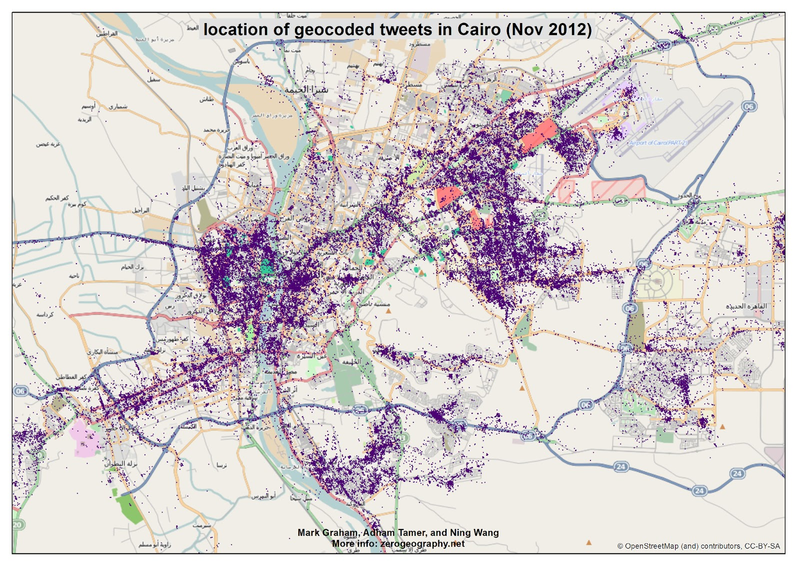 The result is a bit messy, but clearly shows cores and peripheries of information production in the city. 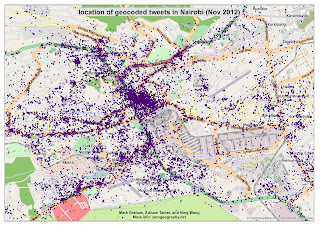 The CBD for instance is blanketed in a layer of information, whereas Kibera (which is the largest urban slum in Africa) barely has any content at all produced from it.